Officially weird. This time it’s a game from 2004. An Auburn game was on the television(s) in the background of an episode of Parenthood. Again. That’s two in less than a year. I could try to get cutesy with it again. Man, looks like ol’ Craig T. Nelson is really trying to keep those coaching skills sharp. 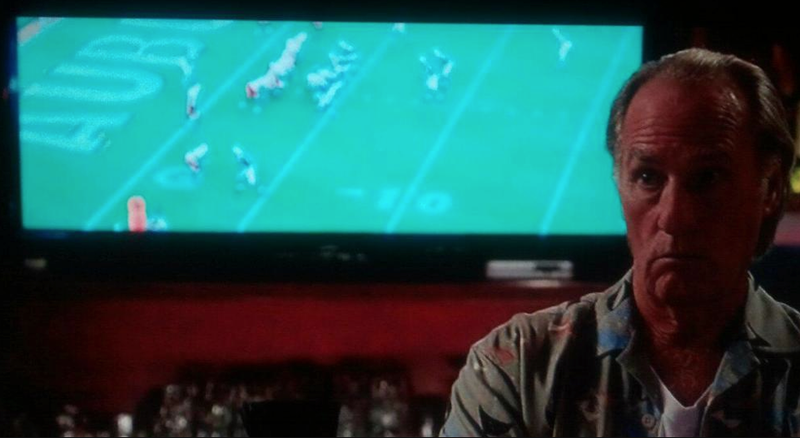 Last November, he was watching the 2006 Auburn-South Carolina game on repeat when he should have been spending time with Lorelai Gilmore, and Thursday night he has them put a replay of the 2004 Auburn-Arkansas game on every television at the bar while Dax Shepherd is trying to have a heart-to-heart. A Dye-hard post-production assistant common to all of them? A random licensing blip we only notice when it’s orange and blue? I’m sure there’s a simple explanation. But I almost hope it’s a complicated explanation. I’m getting to the bottom of it, either way. It’s time. Eagle Eye Awards: Davis, Levi Elliott, Steve Landrum, Patrick McMurry, Tanner Bain, Jason Slye, Mark McLaughlin; Video: Jeff Poor. Parenthood is on NBC. That 2004 Arkansas game was on CBS. The 2006 Carolina game was on ESPN … So you can probably rule out network synergy.